For 26 percent of today's marketers, identifying the right technologies for managing people, processes, and resources is a primary challenge. For brand managers at multi-location brands, adopting apps and software that can accommodate inherently complex workflows is especially tough. Multi-location brands, unlike their centralized counterparts, have a single brand management team that might oversee the creation and distribution of marketing assets for hundreds or thousands of local franchisees, dealerships or affiliates. Local marketers aren't involved in creating of marketing assets originally. Local marketers are primary stakeholders who need to find, use and execute marketing assets and campaigns. Advertising execution revolves around the local marketer's ability to take assets produced at HQ and modify them based on local needs. Brand managers at multi-location brands have the unique challenge of supporting local marketers in finding and accessing the right materials, and supporting the implementation of those assets and campaigns. For many teams, the right tools for solving this challenge fit into the categories of technology that have recently been re-classified as MRM 2.0. While many types of brands benefit from MRM 2.0, multi-location brands have a unique set of challenges that MRM 2.0 is poised to help them overcome. In this piece, we will explore the benefits of marketing resource management for brands operating in a distributed model, and dive into how the new definition of MRM better aligns with specific problem sets that multi-location brands need to solve. Read on to discover how some of the most effective multi-location brands are managing their resources with MRM 2.0 technologies, and how multi-location brands benefit from this technology adoption. MRM technology was initially classified by Gartner as a single piece of software that contained five core competencies. According to their classification and research, MRM enabled organizations to develop a centralized place for the, "strategic planning and budgeting, program management, creative development and distribution, content management, media planning and execution, event coordination, and resource measurement" - factors necessary for large-scale brand management. However, a new era of MRM has been ushered in with a groundbreaking 2017 report by Gartner, which introduces "MRM 2.0." Acknowledging that the "tools and technologies" needed to manage marketing resources have evolved significantly, Gartner's report found that organizations are increasingly likely to use a series of technologies based on cloud or software-as-a-service apps instead of a single piece of heavy technology. The end-to-end management of marketing resources for any organization requires adoption of technologies or processes that mirror Gartner's definitions. However, the precise needs of a multi-location brand for marketing technologies can look quite different than at a centralized organization. Work, asset and performance management tools should account for the fact that stakeholders aren't just on the central brand management team, they're also at affiliate locations all around the world. This category of MRM 2.0 technology encompasses solutions that are designed to make marketing work easier to track and accomplish. 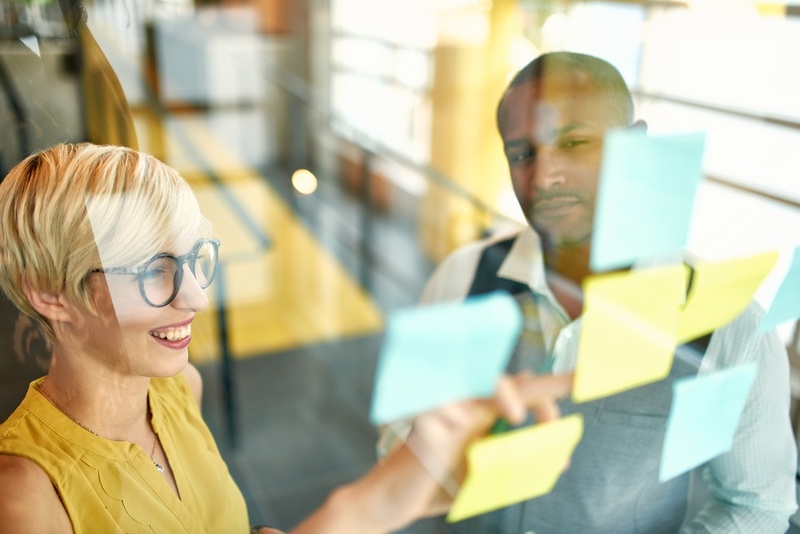 For many brands, this involves project management tools to help marketers and designers at the brand management team prioritize their own tasks, while allowing brand managers to assign tasks as part of the process of executing campaigns. Complex campaigns often also require coordination of content that will guide the design of a campaign or assets. Multi-location brands need to manage the output of marketing and design work: the marketing assets themselves. MRM tools for asset management at any type of organization should support the need to ingest, store and categorize assets efficiently, using features such as metadata tagging. Asset management technologies at multi-location brands should also support the identification and access of assets for multiple marketing purposes. This may include the creation of advertising material, the expiring of prior marketing assets or the archiving of historical assets. Multi-location brands must continually work to measure, optimize and model their marketing performance across a broad range of activities. Performance measurement tools may facilitate the measurement of work and resources, channels and marketing performance. For multi-location brands, performance management tools may yield the best results if they support insight at the local level to understand how assets and campaigns are performing in the field. For multi-location brands, optimizing the technologies of MRM 2.0 occurs when both the brand and local managers benefit. Many traditional approaches to MRM in the past may have been largely designed around the needs of brand managers, including the internal need to create national advertising campaigns, store assets and plan upcoming strategies. Distributed Digital Asset Management technology fits within the asset management category of MRM 2.0. This tool enables brands to ingest, store, and find campaign assets, with special feature sets such as print, digital, and email templating for multi-location campaign execution. DAM takes into account the needs of a busy local franchisee or dealership owner who may not have the time or graphic design background to execute complex advertising layouts in a tool like Adobe Creative Cloud. Distributed DAM technologies should make it easy for the local marketer to easily execute advertising that's both on-brand and locally-relevant. The local marketer experience can be custom-designed by the brand management team, including the content fields in templates that can be edited and which assets are available for use. Within the framework of MRM 2.0, distributed DAM allows multi-location brands to address their need for asset management. Multi-location brand managers understand the importance of ease-of-use from the local marketer's perspective. Ideally, the local affiliate should be able to use technology that allows them to log in, access the right content quickly and execute customized local assets from start to finish simply. At multi-location brands, Distributed DAM or other tools for asset management should support unique localization with minimal effort by the local marketer. MRM 2.0 represents a new era in marketing management technologies for organizations of all types. For multi-location brands, the ability to customize a marketing technology ecosystem within the framework of MRM 2.0 can offer a potential for wins at the brand and local level. Instead of heavy and comprehensive technologies with rigid workflows, today's brand managers can adopt lighter-weight, specialized technologies like Distributed DAM for better marketing execution. To learn more about the best tools and technologies for multi-location brand managers to use to improve local marketing performance. Read: The Local Marketing Playbook.